Urbane are sophisticated rugs in terms of both construction and look. 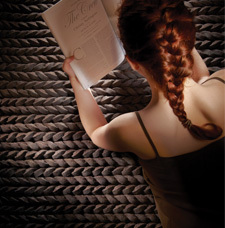 Laser-cut to perfection post pressure felting, the rugs are then intricately woven into rope-like rows eventually creating stunning masterpieces in pure wool. Urbane rugs are super luxurious, super heavyweight and simply magnificent.